In order to lose weight you have to create a calorie deficit, there’s absolutely no other way. When your body is burning more calories than it’s consuming it has no choice but to burn stored fuel. A deficit can be achieved through exercise or dieting (ideally both). As you stay in a deficit over time you’ll gradually lose more and more weight. 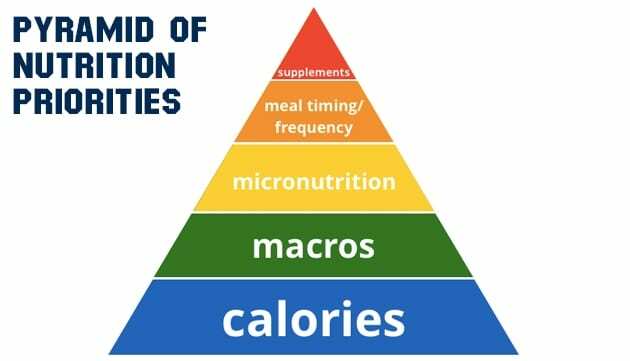 Regardless of what weight loss diet you follow: Slimming World, Weight Watchers, Keto, Atkins, South Beach Diet, 5:2, Intermittent fasting, Paleo, etc, etc they all work because they CREATE A CALORIE DEFICIT. It’s that simple. It always has and always will come down to creating a net energy deficit when it comes to weight loss. As long as you are in a net energy deficit your body will lose weight! Let’s take for example somebody who eats, avocado, chicken, vegetables, fruit, and fish everyday – basically lots of healthy foods! If they consume 3,000 calories worth of these foods when they should only be eating 2,000 calories to lose weight, then they will gain weight because they are over consuming calories. On the flip side someone who lives off poor quality foods, let’s say 2 Mars Bars per day (520 calories) will lose far more weight because they are eating far less calories. THE MOST IMPORTANT ASPECT OF WEIGHT LOSS IS CREATING A CALORIE DEFICIT. Mentioned above you have to create a net energy deficit. It doesn’t matter if you are eating healthy foods, timing your meals perfectly and consuming the best supplements in the world… you will not lose weight unless you get the calories right. Macronutrients include carbohydrates, proteins and fat. They provide the energy our body needs. Micronutrients include vitamins and minerals (and other elements such as folic acid or essential fatty acids). They are involved in the proper functioning of the organism. The body only needs them in small quantities, but they remain essential to prevent health complications (such as diseases or deficiencies. Eg: iron deficiency can lead to anaemia). This aspect focuses on the most optimal times to consume certain foods. For example carbohydrates are best utilised by the body pre, during and post training. There may also be times of the day that protein and fat based meals are more appropriate. For the most part this is something athletes or bodybuilders would look at. For the general public looking to lose weight it’s not imperative. Pills, tablets, drinks, etc that help performance. Things like multivitamins, probiotics, Vitamin C, Folic Acid, Iron, protein shakes, pre workouts drinks, protein bars, etc, etc. Who’s Up For the 28 Day Keto Weight Loss Challenge? WARNING: the 28 Day Keto Challenge is not suitable for vegetarians. Just after Christmas I reduced the 28 Day Keto Challenge price down from £19.99 to just £9.99! I’m now going to temporarily extend this offer, so you can still pick up the plan for £9.99 (saving 50%). BUY THE 28 DAY KETO CHALLENGE FOR JUST £9.99!